I'm hoping that the new puppy will help me lose weight. I mentioned this to a friend of mine and she had a funny take on the situation. 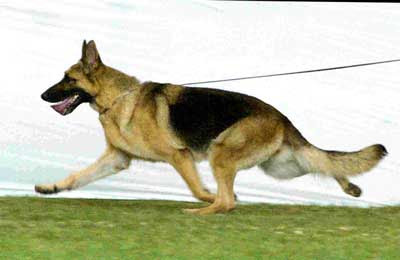 She said "If you're going to show a German shepherd you need to be able to keep up in the ring. You don't want your dog look bad because you're out of shape!" Thanks Girlfriend for putting it into perspective! The big question: Can I keep up with a flying trot? *Someone spelled it out for me! 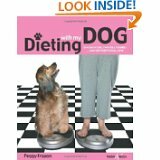 Go to Dog Diets: Losing Weight With Your Dog for details.